3 years & up. Balance your egg on the spoon and race to the finish line. Be careful, if you drop your egg, it'll crack! 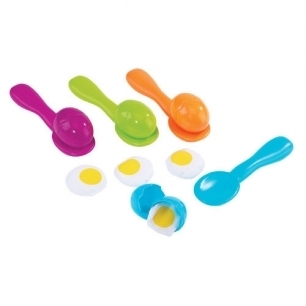 Contents: 4 easy-grip spoons, 4 egg-shaped beanbag yolks, 4 re-breakable eggshells.